As you may know by now, I am passionate about gut health and healing the body from the inside out. I also do a Spring Cleanse each year. So...this year I am combining the two to create a wonderful 10 Day spring cleanse focussed on gut healing. In my practice I have seen many health concerns, such as eczema, autoimmune thyroid condition, rosacea, histamine intolerance, basic gut issues and much more, improve when we clear up and heal the gut! 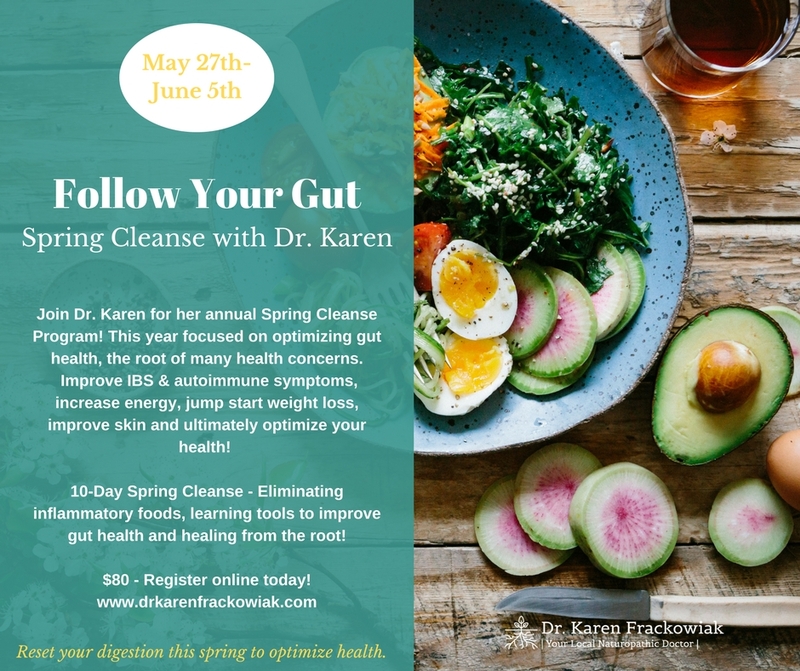 This cleanse will focus on the 4 R's in gut healing I have mentioned before while eating delicious and nourishing foods. Click the photo below to bring you to all the details.